Facility managers are taking greater notice of opportunities to increase the efficiency of their energy, water, and waste systems. Upgrades to more energy-efficient options like LED lighting can mean significant energy cost savings. In fact, according to “2016 Energy and Sustainability Outlook Survey” by Ecova, over half of the facility managers surveyed identified affordable energy efficiency initiatives as a top priority. Specifically, "for all three years that Ecova has conducted this survey, LED (Light Emitting Diode) retrofits have been the best investment made by respondents." And that isn’t surprising. While other upgrades to systems like water and waste can often mean significant upfront costs, lighting upgrades offer facility managers a ROI that makes LED retrofits attractive. LED bulbs also offer benefits that don’t directly impact ROI like better dimmability and a more controlled, focused beam of light. Also, with no warm-up time, LED bulbs turn on instantly with full brightness. With all of the benefits of LED lighting, it is not surprising that facility managers are turning to LED upgrades as an affordable energy-efficient upgrade. You can read more about our LED lighting upgrade options here. 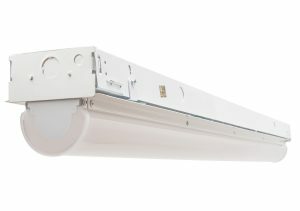 Interested in seeing how these new LED lighting products would work in your facility? Contact Litetronics for our free 60-day trial offer.